Take your analog processes digital – without compromise. 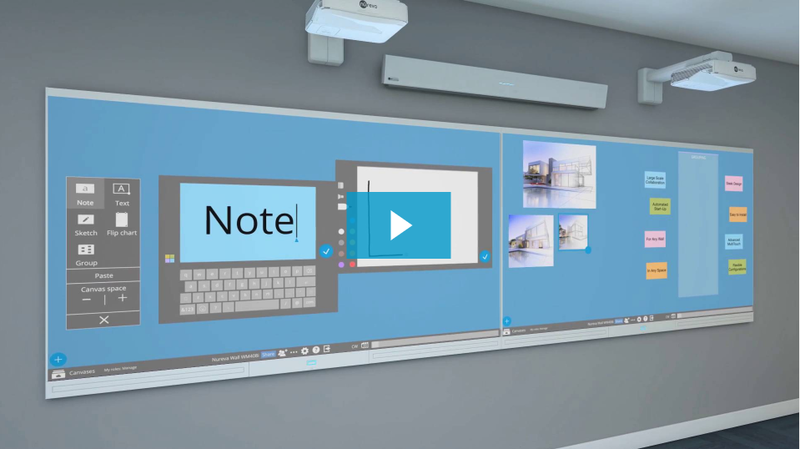 The Nureva Wall WM408i system combines a capacitive touch surface with an ultra-short-throw HD projector to give highly collaborative teams the tools they need to deliver breakthrough results. Wake up your walls with precise multitouch that won’t let you down. The WM408i uses the same advanced technology found in the latest smartphones to give teams the touch experience they’ve come to expect. 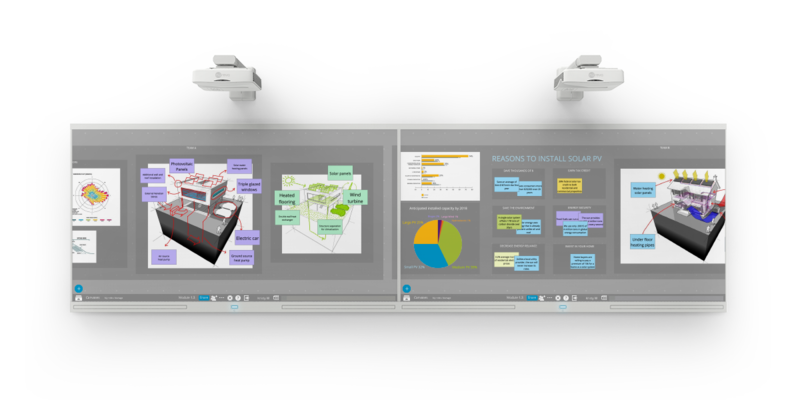 And by leveraging ultra-short-throw projection, it also yields the lowest price per pixel for any display technology, making it a practical solution for your meeting rooms and team spaces. 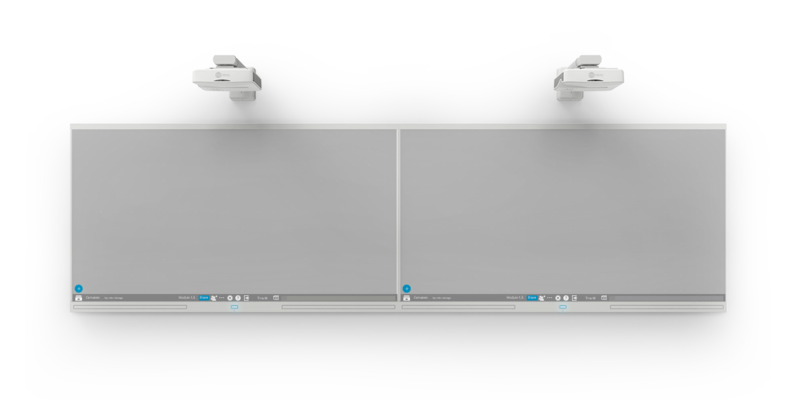 One size never fits all – and with the Nureva Wall, it doesn’t have to. Create a collaborative workspace tailored to your team’s needs. Nureva Wall configurations can be as small as 7' 6" (2.30 m) wide or as large as 60' (18.29 m) wide. They can span the length of a wall, be placed in a corner or wrap around an entire room for immersive visual collaboration.  With a Span subscription, you can create an unlimited number of cloud-based canvases with up to 200' (60.96 m) of digital space to visualize ideas and map processes. Use tools like notes, sketches, custom templates, screen sharing and more. Work directly on the Nureva Wall or on almost any device or display. 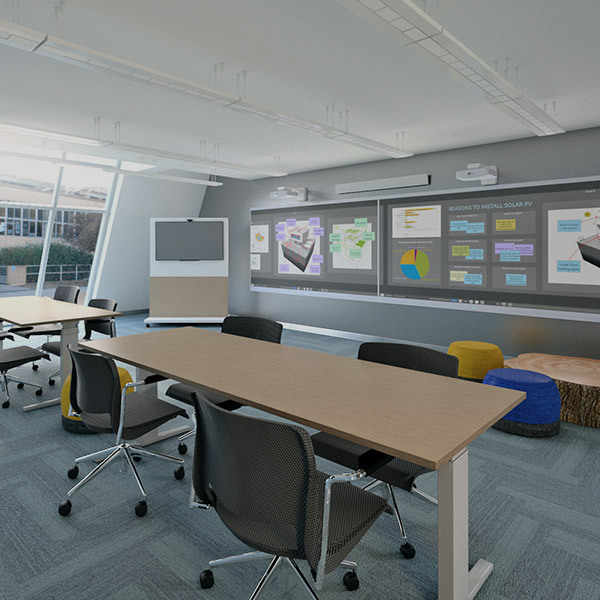 Together, the Nureva Wall and Span Workspace give you the physical and virtual collaboration spaces you need. 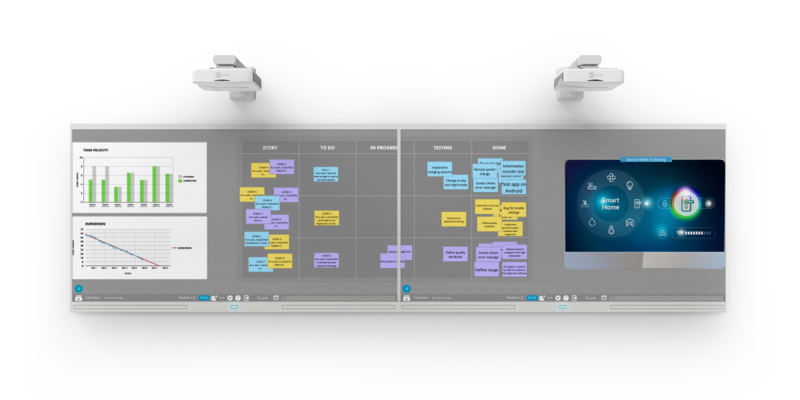 The Nureva Wall can also be used with any Window® or web-based application. Every morning the team gathers around a Nureva Wall, resolving roadblocks and sharing progress in Span Workspace. The HDL300 audio conferencing system makes it easy for two remote team members to call in. 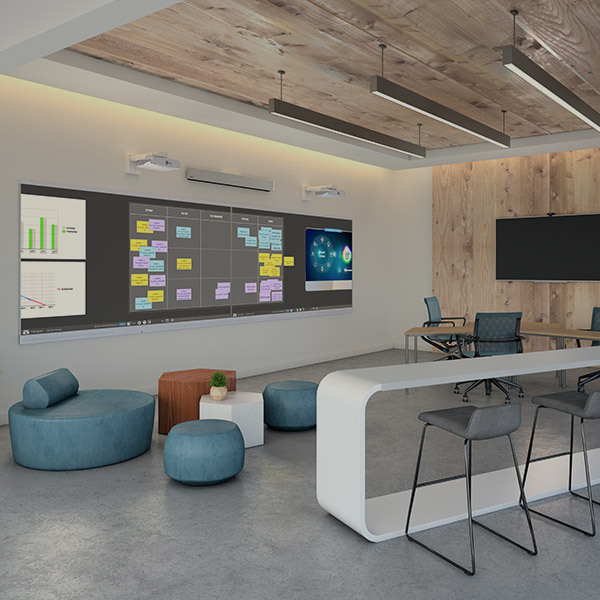 On Friday, the team will rearrange the furniture, extend a different Span canvas onto the interactive flat panel to demo work and invite stakeholders to give their real-time feedback. It’s crunch time for these students as they hit the homestretch on a semester-long project. While a few generate ideas on the Nureva Wall, others use devices to add example images to a canvas. When a group joins remotely (using the HDL300 system), there’s a heated debate about next steps. 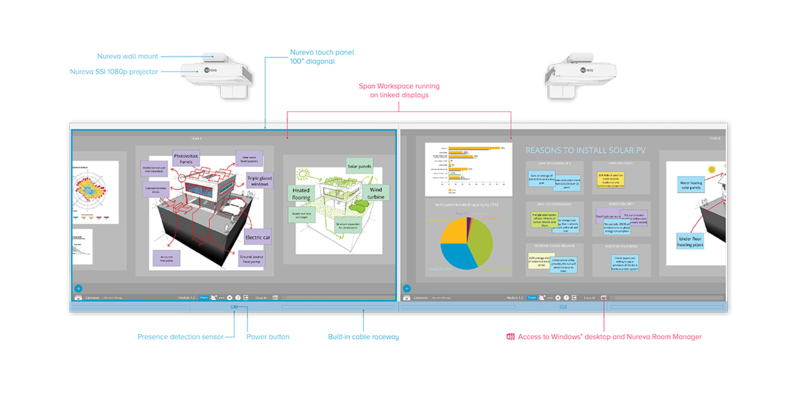 But screen sharing in Span Workspace brings clarity and gets everyone on the same page. 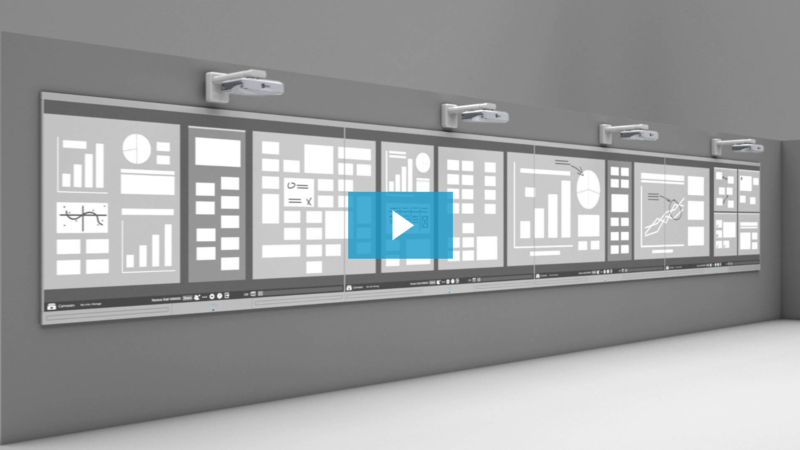 See how the Nureva Wall and Span Workspace can accelerate your team’s processes and give everyone room to visualize any idea.